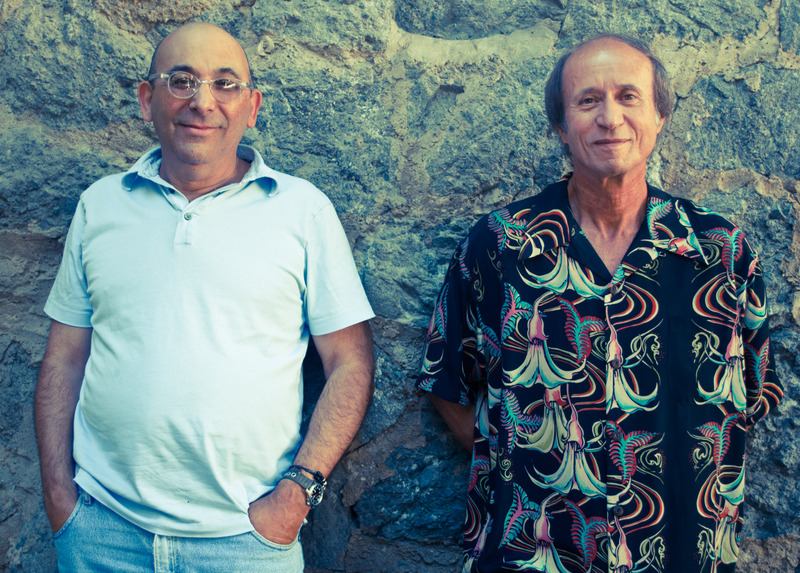 MICHAEL A. VENTRELLA: Today I am pleased be to interviewing comedy writers Jeffrey Davis and Peter Desberg (That’s Jeffrey on the left). Their book SHOW ME THE FUNNY! 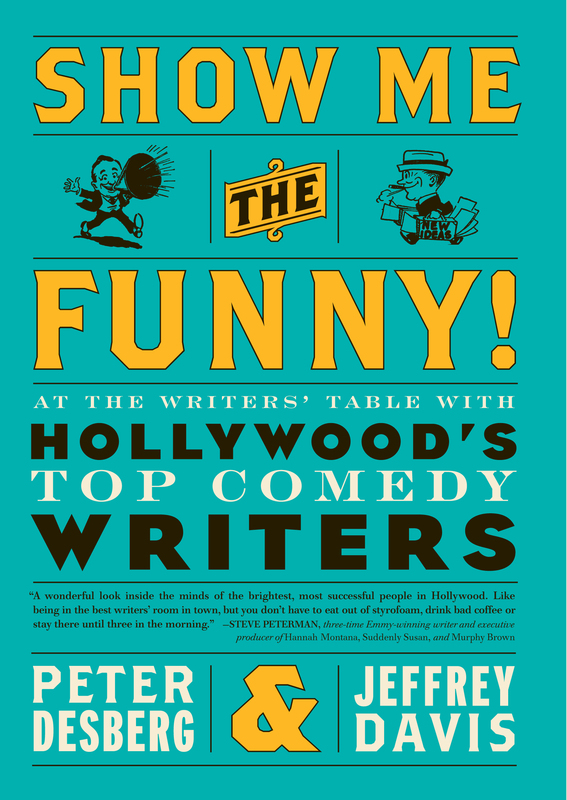 AT THE WRITERS TABLE WITH HOLLYWOOD’S TOP COMEDY WRITERS presents twenty-eight top comedy screenwriters from the revered figures of television’s “Golden Age” to today’s favorite movie jokesters. Desberg is a joke writer, California State University Dominguez Hills professor and a licensed clinical psychologist who specializes in the area of stage fright. Davis is a produced screenwriter, playwright and the Screenwriting Department Chair and associate professor of film and TV writing at Loyola Marymount University. Their web page is here. Let’s begin by discussing the business end. How did the idea for this book come about? DESBERG: Jeffrey and I are interested in the comedy writing process. We thought the best way to find out more about it was to interview some of Hollywood’s top comedy writers from the Golden Age of Television to Phil Rosenthal, co-creator of Everybody Loves Raymond. They’ve all done many interviews and we weren’t sure that their descriptions of their processes would be accurate. There’s an old phrase “The autobiography is the highest form of fiction.” Instead, we wrote a short, generic comedy premise about a single working woman in her 30’s whose mother is forced to move in with her. We asked each of them to develop it. We told them there were no rules or boundaries. They could go anywhere they wanted. This was just as well since they are comedy writers not accountants, they wouldn’t have listened to us any way. The result is that we watch twenty-eight writers come up with twenty-two stories starting from the same place. We worked to create the feel of a Writers’ Room spitballing ideas. 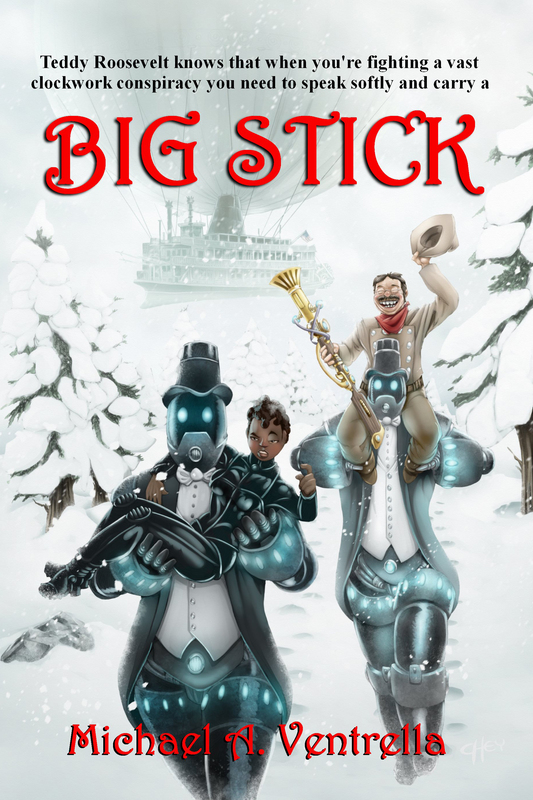 If they had as much fun as we did, this book is a huge success. VENTRELLA: How did it get published? Did you approach an agent or an editor first or did someone approach you? DESBERG: We went through our Literary Agent. VENTRELLA: Are you pleased with the result? DAVIS: Yes … the extent that any author is happy with an agent or publisher (That’s the politically correct answer.). VENTRELLA: Do you expect to do a follow-up? DAVIS: Yes … keep checking our website (www.smtfo.com). You can also like us on FaceBook and follow us on Twitter. VENTRELLA: Which interview do you like best? DESBERG: That’s like asking a parent which child they like best. VENTRELLA: How did these writers react to being put on the spot and have to create under pressure? DESBERG: What surprised us was that at every one of them, at some time during the interview, said they were nervous. Even though they were doing what they were great at, they knew they only had one shot at it, and they would be compared to their illustrious peers. VENTRELLA: Did anyone you ask refuse to be interviewed? DAVIS: One half of one partnership refused to participate. And we got to witness a well-executed tantrum. We can’t wait for our next contract negotiation to try what we saw. VENTRELLA: How have you gone about convincing others that this book would be interesting to them, and not just to writers? DAVIS: We believe this book has a wide audience. At its core it is a great study in creativity. For fans of Hollywood, the writers said they revealed stories here that don’t come out in other interviews because of our format. It’s also real funny. VENTRELLA: What facts revealed in the book will surprise TV fans the most? DESBERG: The most surprising fact is that all of the writers agreed that the basis for all comedy is conflict. They also agreed that in good comedies … jokes are expendable. If they don’t propel the story or reveal something important about the character … they are out. The days of the network requirement that sitcoms must have three jokes per page are over. VENTRELLA: What were your favorite comedy TV shows growing up? DESBERG: Taxi, The Honeymooners and I Love Lucy. DAVIS: Well, come on. Who doesn’t love The Honeymooners and Lucy? VENTRELLA: What do you think are the best-written comedy shows ever? VENTRELLA: What shows do you like now? DESBERG: Big Bang Theory, Modern Family and Weeds. VENTRELLA: What are the big limitations when writing for television? DAVIS: Networks! As he said in his interview, in the days when Sherwood Schwartz was working on Gilligan’s Island and a writer would come in with something that was on My Three Sons the week before he’d say, “We’ve seen it. We’re not going to do that.” Today’s networks want to play it safe by doing what’s been done and proven successful (which means it will make money). And then of course, they are limited by Standards and Practices, sponsors and the general lowering of the audiences’ expectations. For me, when a show like Modern Family gets on, it’s a miracle akin to the parting of the Red Sea. VENTRELLA: Has cable – with so many more shows available – made things better or worse? DAVIS: Cable has made things different, not necessarily better. USA is extremely successful, a little wittier and a touch more risqué. They started with Monk and ten years later they’ve evolved a formula that’s we’re seeing everywhere. On the other hand, the networks must see the writing on the wall with their shares falling: They own the basic cable networks. VENTRELLA: Jeffrey, your dad was a comedy writer. How did that shape your own pursuit of comedic writing? DAVIS: I had the great good fortune to grow up around the best comedy writers in the business. They always said it was character and conflict that mattered. Structure would find you. They never used the word “plot.” They were a different breed. They had been journalists, novelists and playwrights. Because of this they had a wider frame of reference. This is something I try to pass along to my students. Read, go to movies, theater, museums, read more. Don’t be afraid to borrow what you love and make it your own. VENTRELLA: You’re both also comedy and joke writers yourselves. How do you teach comedy writing to your students? DAVIS: I was fortunate to have my Dad and Danny Simon (Neil’s brother) as mentors. I teach by starting with the premise, working toward story and then script. It doesn’t matter what’s on page fifteen if there are no interesting characters and no conflict. Structure is easy to teach. Too easy. I believe in replicating the Writers’ Room. We workshop everything. Everyone contributes. Contribution is supposed to mean participation. I had a shy student whose only contribution was bringing me an Apple…fortunately it had the new higher resolution screen. VENTRELLA: Are you accepting new pitch ideas for the premise you included in the book? Where can people go for more information?